Brisbane trainer Tony Gollan has big plans for two-year-olds Vincere Volare (above) and Garibaldi. Well-bred colt Garibaldi will make his debut at either Eagle Farm or Rosehill after an impressive Doomben barrier trial win. Garibaldi and his Tony Gollan-trained stablemate Vincere Volare were the stars of Tuesday’s trials with the latter fastest of the 840m-heats, winning in 48.83s. A $475,000 Inglis yearling, Graibaldi is yet another promising horse by boom sire I Am Invincible. He is out of Exceed and Excel mare Sonnenblume and is closely related to stakes performers Shindig, Shinzig and Strada. Gollan has high hopes for Garibaldi who is entered for the QTIS Two-Year-Old Handicap (1000m) at Eagle Farm. 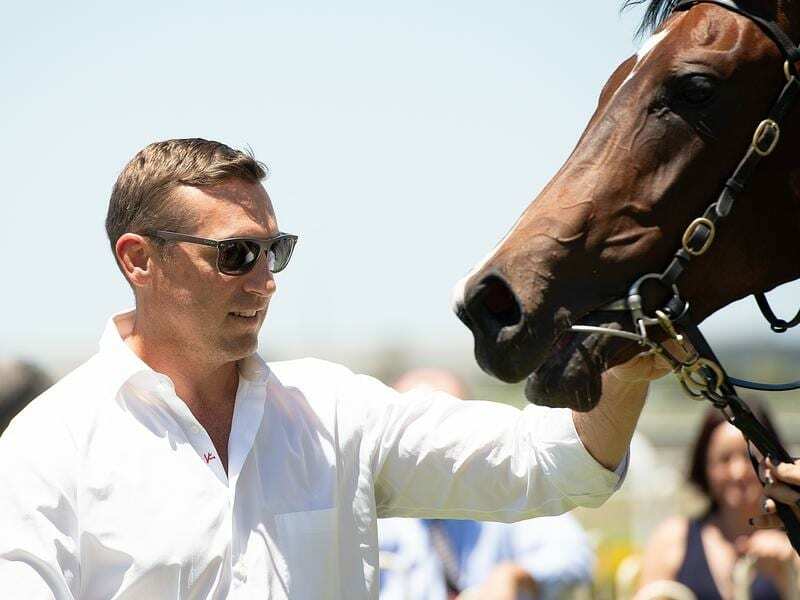 “I have also put in a late nomination for Rosehill (Canonbury Stakes) and I will see how he does overnight before deciding where to accept,” Gollan said. Vincere Volare, having her first solid hit out since winning at Doomben in November, sat outside the leader before drawing away. Gollan said she would not be going to Sydney for the Inglis Millennium at Warwick Farm on Saturday week. “She needs another trial and after that she can run at Doomben on February 16,” he said. Gollan made a quick trip to the Karaka Sale in Auckland at the weekend and came away with a filly by Deep Field.